Got a question or comment about Attractions in Philippines? Ask a Travel Expert! 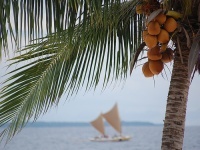 The main attractions of the Philippines are its 7,107 beautiful islands, and for most travellers the remoteness of these destinations is part of the appeal. 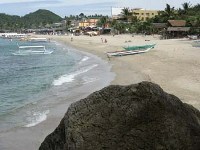 The capital city, Manila, is an easy place to start and the main entry-point for tourists. There are marvellous buildings and cathedrals such as Intramuros and San Augustin Church which stand as testament to the history of Spanish colonialism. 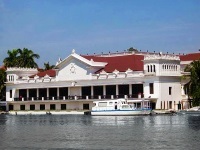 The Nations Museum and the Malacanang Palace are great places to learn about the country's history. Manila is also the gateway to the famous Puerto Princesa Subterranean River National Park, and there are many delightful islands and regions to explore nearby, including the islands of Palawan and Corregidor, as well as the unspoilt Banue region. 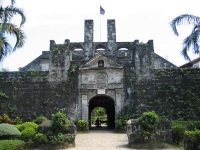 From Cebu, another popular starting point, island attractions and beaches in the Visayas are a chartered flight or ferry away, but the city itself also offers plenty to see and do, including the important religious site of Basilica Minore de Santo Nino, or Fort San Pedro. 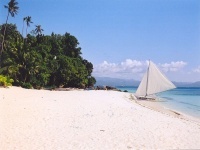 For easily accessible island paradise, try Boracay and its beautiful, white sand beaches, while still enjoying international comforts. The Philippines has much to offer tourists, but all travellers should ensure that they are well-informed about the current dangers of a holiday in the country including areas to avoid and safety precautions advised by travel experts.